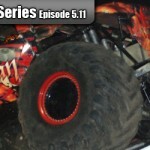 Description: Three wheeled donuts from Jerry Perry in Brute Force in Odessa, Texas! 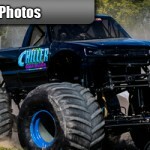 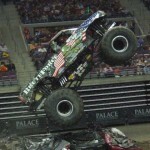 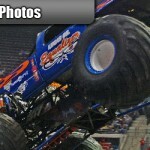 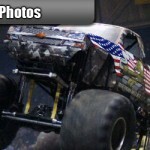 Description: Jerry Perry goes BIG in freestyle at the Extreme Monster Truck Nationals event held at The Palace of Auburn Hills in Auburn Hills, Michigan. 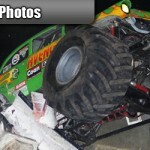 Perry ripped the rear end right out from under the truck but would take the freestyle win over Jimmy Creten and Bounty Hunter. 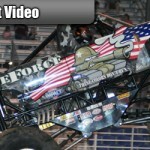 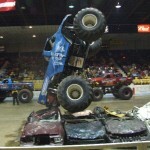 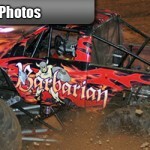 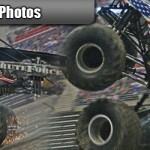 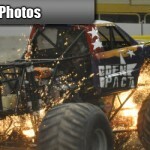 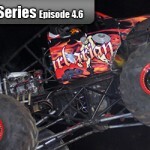 Description: Jerry Perry in Brute Force and Larry Quick in Ghost Ryder perform a dual freestyle at the Extreme Monster Truck Nationals in Denver, Colorado that ends with Quick on his lid.